When I walk across the campus at ETSU I sometimes wonder about how this generation of college students and young adults has experienced religion. Yes, they each have their unique experiences both positive and negative and these certainly fundamentally guide them but, as a whole, they also have some defining experiences. Two of which are particularly negative. As pre-teens this generation witnessed 9/11 – a horrific and violent abuse of power and religion. This generation has also grown up in the midst of the clergy abuse scandal – again, another horrific abuse of power. These events being held together, this generation has witnessed, in a defining and particular way, abuse of power in the religious context. In light of this, I find Pope Benedict XVI’s audacious decision to resign from his ministry as the successor to St. Peter to be truly prophetic. 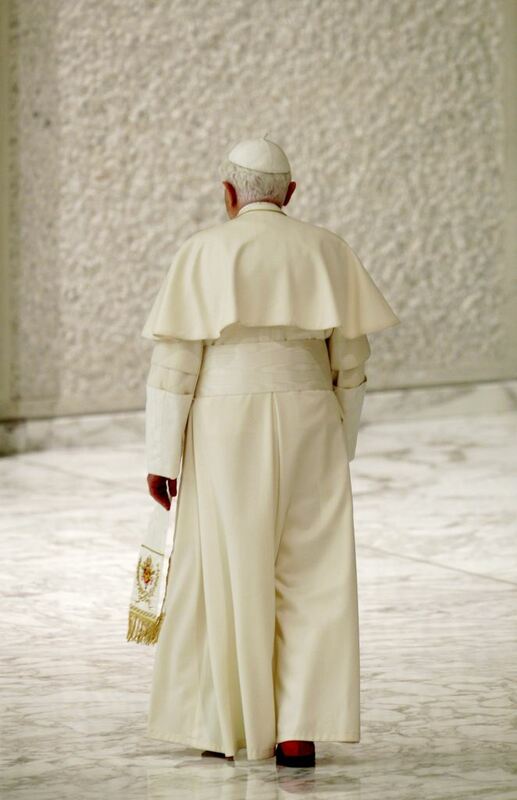 The papacy is the quintessential symbol of religious authority and power in our world and I cannot help but wonder how his resignation is speaking to the younger generation. I do not presume to know the mind of Pope Benedict and I can only go on his own comments as to why he has decided to step away from the Petrine ministry and devote the remainder of his life to prayer and study and I certainly take him at his word but I wonder (and hope) if the eighty-five year old pontiff has in his heart a pastoral lesson he wants to offer the world and young people in particular. 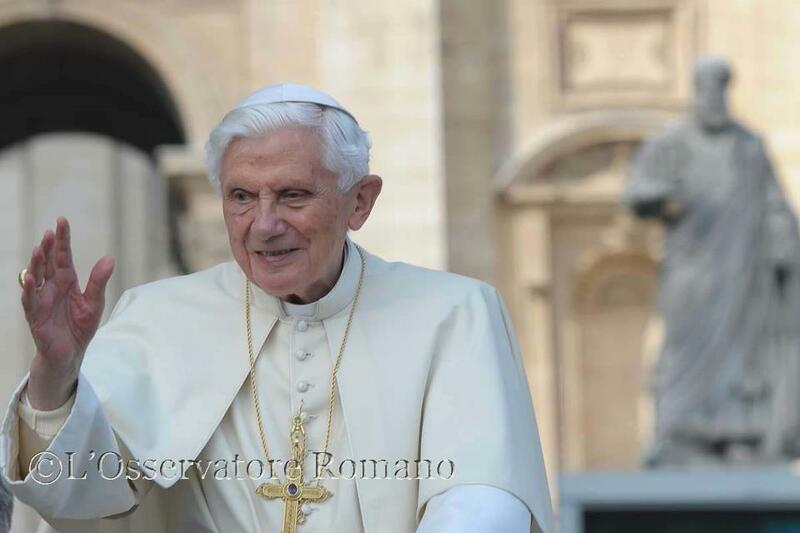 By his resignation, Pope Benedict is offering a lesson that power does not have to control and that power can also be stepped away from for the interest of the whole and the common good. 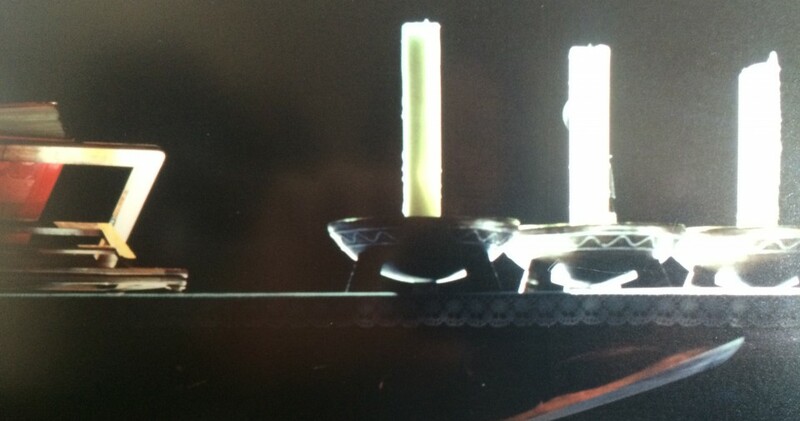 In this lesson there is also the recognition that there is value to humility and to prayer. I think that this younger generation has a deep yearning to see religious people willing to step away from the trappings of power. Yes, there is an authentic role and need for power and authority in religion. Authority is certainly needed and I do not here argue against the authentic exercise of power to help grow the faith but it must be recognized that power which is abused leaves deep and long lasting scars and that power, by its very nature, can also create distance between those who hold power and those who do not. One reason I think that this generation yearns for religious authorities who can step away from power is because they are, in many ways, a generation without power. By stepping away from power, religious authorities can go and meet the younger generation where they are at. It has been said that this younger generation of Americans will probably be the first to financially make less than their parents. It is not their fault. It is the cards that they have been dealt primarily due (in all honesty) to the greed and narcissism of older generations. Theirs is a generation that cannot find jobs once they graduate college (partly because older generations are not retiring). They are weighed down by exorbitant student loans due partly to the fact that benefits afforded previous generations have not been passed down to them. They are not planning on social security being around once they retire. Many are facing unemployment or underemployment. One student recently told me that out of five of her friends who just graduated college, four have had to return home to live with their parents. If we as ministers can step away from the security of power we can go a long way in meeting these young people where they are at. This calls for a creativity in ministry, because it means “going to” rather than “waiting for them to come to us” – which has been the dominant model in ministry for a long time. But it should be recognized that this dominant model is a model of power. When “they” need to come to “us” a power dynamic is immediately set up. We know how things operate, we know how things should be done in the church. In other words, we have the power and they do not. The Catholic Church is a church of weighty institutions – we have schools and universities, we have hospitals and far-reaching charity organizations, we have large and expansive parishes – these all have a role and they are not going away and neither should they but we should recognize that sometimes the maintaining of institutions diverts energy away from the needed work of evangelizing and the very ability to go outside the walls of the institution. We need to creatively think a space apart from these weighty institutions where we can meet and welcome this generation without power. Our young people – who are a generation without power – are watching. 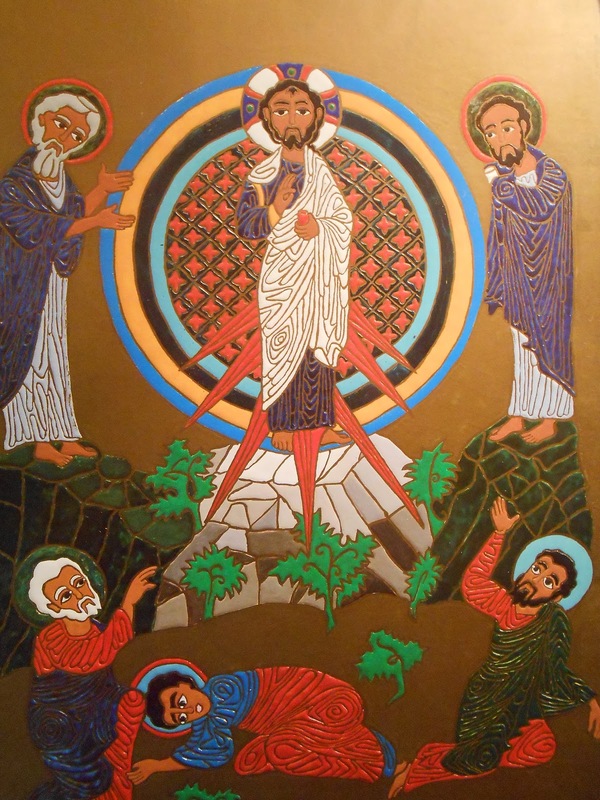 In the Gospel story of Jesus being tempted in the wilderness (Lk. 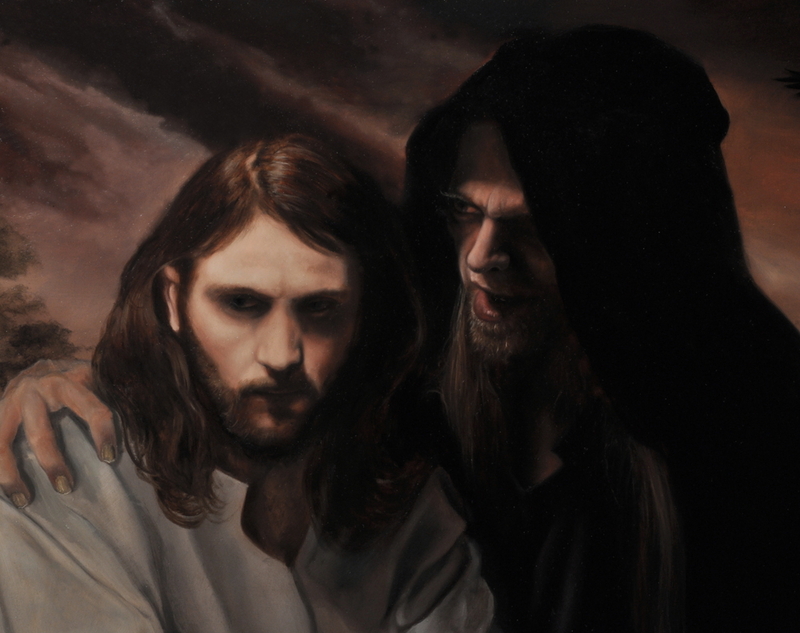 4:1-13) we are given a dramatic portrayal of the movement of temptation in life and also the corrosiveness of sin. Luke writes that it was only after Jesus had fasted for forty days and he was in a weakened state that the devil came to tempt him. This is worthy of note. Temptation insinuates itself into the folds of our weaknesses and our fragility and it is from there that it seeks to carry out its destructive work. Do we carry fears within us? Then grasp for power at all costs! Are we insecure in our understanding of self? Then run after the approval of others! Do we covet? Then deny the dignity and rights of the other person! Do we envy? Then put down the other person! Do we doubt? Then shut out the love of God and other persons! All temptations insinuate themselves into the folds of our weaknesses and frailties. Part of the spiritual journey is coming to recognize and accept this. A very holy and honest priest once told me that at one point in his faith journey he came to the realization that he was capable of about every sinful act imaginable. The truth is, we all are. We mark ourselves with ashes at the beginning of Lent for a number of reasons – one of these being the recognition and acceptance of our own weakness. Holiness is not achieved by denying or masking weakness. Authentic holiness comes about only through accepted weakness being transformed by God’s grace. 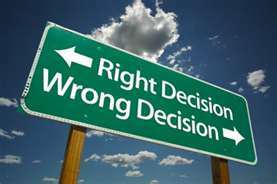 In my own spiritual journey as well as in my experience as a confessor I have come to the awareness that one of the most corrosive effects of sin in our lives is that sin plants a kernel of doubt in our thoughts that can easily and quickly fester into a debilitating and ever-present accusation. 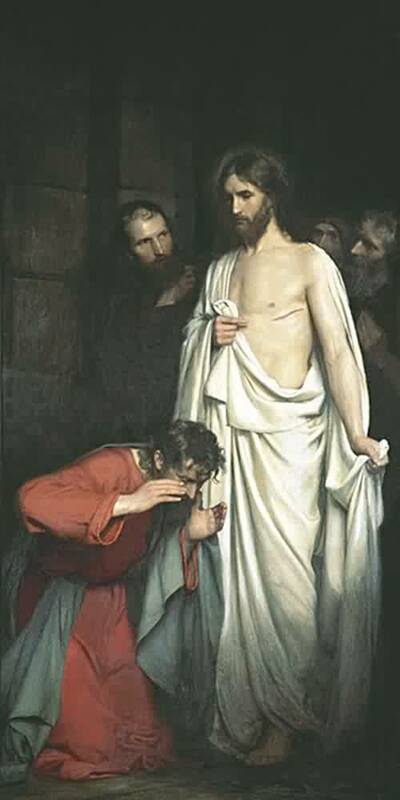 The accusation comes in a variety of voices: “Who do you think you are?”, “If people only knew the real you.”, “How can you believe that you are worth love?”, “Do you think God loves you or even cares?” Throughout the temptation scene in today’s gospel the devil continually tries to plant this kernel of accusation in the thought of our Lord. If you are the Son of God… Yet, Christ does not sin, he does not turn away from the Father and therefore the devil is unable to plant this kernel of doubt and despair. Christ triumphs over the devil in the desert not by his own strength and self-sufficiency but rather by clinging in obedience to the will and love of the Father and by calling to mind the Word of God and being strengthened by that Word. The answer to both the insinuation of temptation as well as the corrosiveness of sin is in essence the same – to trust and truly hold to the reality that we are sons and daughters of God and that God is nothing other than love. God does not disdain us in our weakness. The truth is that his love and grace are all the more present. The Christian sense of being perfect is not that we have it all together but rather that we are being perfected in and through our cooperation with God’s love and mercy. In the face of the accusation of sin we remember that we are indeed loved by God and if we cannot remember then God will remember for us. I have seen this first-hand as a confessor. This is one of deep truths of the sacrament of reconciliation. When we have forgotten who we are through sin, God (in his mercy) remembers for us. God, in his forgiveness, calls forth the truth that we are his sons and daughters. We all know how temptation insinuates itself into our weaknesses and we know how sin accuses us. This Lent and Easter may we hopefully come to know in a deeper way how God’s love and the truth of our being his sons and daughters sets us free. This invitation and the questions are daunting and even frightening. There are many voices in our world that continually encourage us to stay on the shore, to ignore the invitation to set out into the deep water. This encouragement comes in a variety of forms: to live a distracted existence focused solely on self and ones own entertainment, to not question too deeply or to only question in an approved manner, to silence ones conscience and only live within the bubble of ones own ego. These voices call to us continually – subtle and not so subtle. They have a surface appeal but in the end they are deadening. Our Lord invites Simon Peter (and us) to “put out into the deep water” exactly because he knows the depth of being that resides within every man and woman. Christ will not let us sell ourselves short in contrast to the voices that encourage us to stay on the shore. Our Lord knows that deep calls upon deep and that an isolated, self-absorbed existence is an impoverished existence. Yet, not only does our Lord invite, he also empowers and this is the good news proclaimed for us today. In today’s gospel (Lk. 5:1-11) we find the means given by which we might set out into the deep. The first is that we are never alone. We are not orphans left to our own devices in a senseless world. There is a creator, there is a purpose for creation and there is a purpose for each of our lives. Not only this but God walks with us. That day, Jesus came to the Lake of Gennesaret – to where Peter, James and John were – and when he instructs them to “put out into the deep water” he is in the boat with them. God never abandons us. As we put out into the deep of our lives we must continually trust that God is with us. This leads us to the second means given us by God. The Lord’s instruction to Peter to put out into the deep comes after the Lord’s proclamation and teaching to the crowds from the boat. This is not incidental. We have been given the gospels and all the scripture as a means by which to live our lives and to set out into the deep waters and navigate these waters. We must develop the discipline of turning again and again to God’s word, especially the gospels, in order to truly live the life we each have been given. The final means given us by God in this gospel passage is mercy and forgiveness. 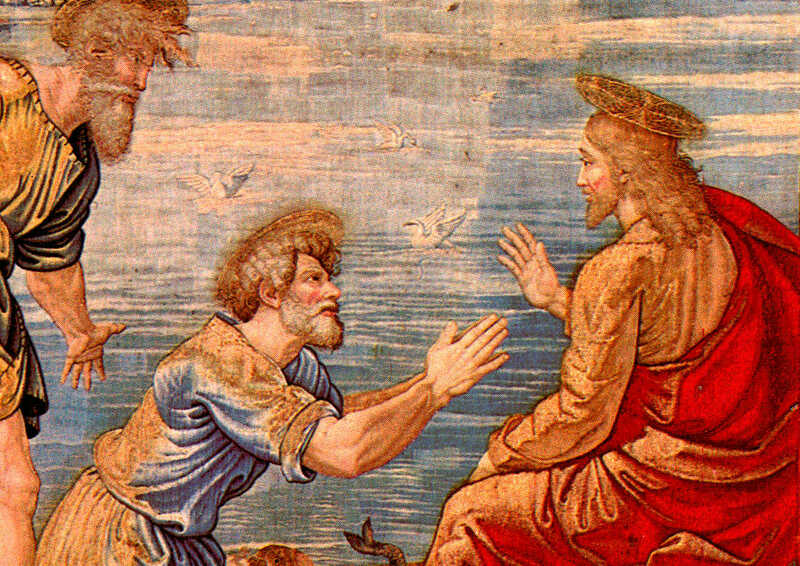 Peter’s immediate reaction upon the great catch of fish demonstrates our common human condition, “Depart from me, Lord, for I am a sinful man.” We all know our weaknesses, we all know our sins and our failings but that does not mean we have to remain in them and we do not have to let them dictate who we can ultimately become. It is worthy to note that Christ does not depart. 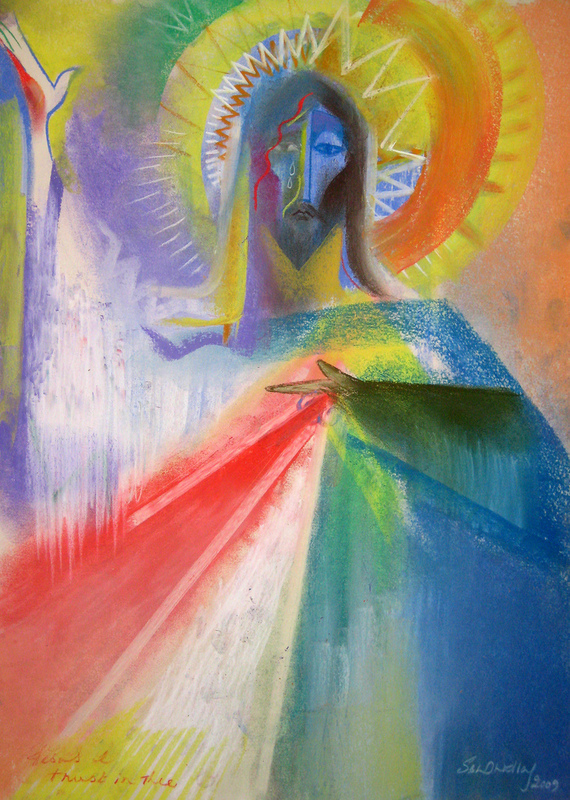 He remains and in his love and mercy patiently given he offers Peter a different vision for his life, “Do not be afraid; from now on you will be catching men.” Do not deny the forgiveness and mercy of God. When Simon Peter and the others answered and obeyed the Lord’s invitation and instruction they made a great haul of fish. Here, I will not go down the road of the gospel of success and its error of material blessings for a life of faith. Rather, I interpret the great haul of fish as a life well lived which is abundant in joy, relationships, integrity and love. “Put out into the deep water” instructs our Lord. Develop the means given and know a life well lived. On January 31st, the Church celebrated the Feast of St. John Bosco – a saint who devoted his life to helping young people. This saint and his feast day has led me to reflect on my own experience of ministering to youth and young adults, especially in a time and culture that is “youth obsessed”. We can readily see how this obsession is played out in all areas of society – the entertainment and news media industry, politics, sports, education, relationships – just to name a few. Yet, my own reflection led me to wonder how might this obsession with youth bleed into and perhaps even negatively influence the Church’s ministry to youth and young adults as they seek to claim their own Christian faith and spirituality? I will start by stating that one of the core convictions I have gained in my ministry with youth and young adults is that young people do not benefit from older people trying to act young; rather young people benefit when their elders remember their own age and are authentic to whom they, themselves, are. To use the language of Scripture: in our culture today, our young Samuels need the guidance of older and wiser Elis. For any person involved with young people, 1 Samuel 2-3 is a must read. I have returned again and again to this Scripture passage for wisdom and I have come to believe that Eli is an often unsung hero in Scripture. I would like to use this encounter between the young Samuel and the elder Eli as a means to share some thoughts. In the second chapter of 1 Samuel we are told that the Lord had withdrawn his favor from the house of the priest Eli due to the corrupt actions of his two sons, Hophni and Phinehas. Yet the young Samuel “continued to grow both in stature and favor with the Lord and with men.” (1 Samuel 2:26) In the third chapter we find the famous scene of the young Samuel hearing the voice of the Lord, mistaking it for the voice of the old priest and going each time to the sleeping Eli until finally Eli catches on to what is happening and instructs the young man in how to respond. For our purposes here I would like to focus more on Eli than Samuel. There are four things that Eli does which are worthy of reflection and emulation. Eli was a man of prayer who was able to eventually recognize what was occurring and give good instruction to the young man. The fact that the young Samuel is comfortable in seeking out the elder Eli each time he hears the voice of the Lord witnesses to an established relationship between the two persons yet nowhere is there expressed any confusion between their differing roles. Eli knows who he is and therefore he is comfortable in his own skin and he has no need to pretend to be something that he is not. An approach to Christian faith and ministry that needs to abandon itself and our great Christian heritage in order to chase after the world in the hopes of being relevant lacks maturity and therefore any real depth of insight to offer a young person who is searching. It might be flashy in the moment but beyond that there is just really not that much there. What enabled Eli to be comfortable in his own skin and act out of his own authenticity was that he was a man of prayer. Like any true discipline, the fruit of prayer is only born after the establishment of a hard-fought for habit and practice. I would hazard to guess that what enabled Eli to finally recognize what was occurring for the young Samuel was a lifetime spent devoted to the often daily and mundane work of prayer. An approach to Christian faith and prayer which seeks to manufacture “spiritual highs” at all times rather than developing the daily discipline of prayer is more about addiction than honest Christian spirituality. Such an approach is in fact a disservice. The life of Christian faith more often than not grows gradually and through daily habit. Eli knew not only what the Lord’s call for Samuel meant for the young man, he also knew what it meant for him and his family. Frankly, God’s calling of Samuel meant the end of the road for Eli and his own sons. I do not think it out of place to believe that this thought must have crossed Eli’s mind along with the temptation to intentionally misguide the youth. Yet, Eli did no such thing. Eli put Samuel’s best interest before his and his own sons’ interest. This will forever be in Eli’s favor. To let go of self for the good of another takes a mature and wise heart. My experience has been that wisdom is sorely lacking in our world today and one way that this can sadly be witnessed is when members of an older generation cannot let go of their own interests, needs and particular viewpoints in deference to what is in the best interest of the younger generation. I would hazard to guess that one of the reasons behind many younger people no longer defining themselves as religious is their own experience of their elders’ inability to put the needs of others before their own. The “elders” in this context tending to be a generation of people, I would think, that would more readily define themselves in terms of being “religious”. When young people no longer define themselves as religious are they forsaking religion per se or are they reacting against impoverished examples of religion being lived which they have experienced? True maturity is found in not always needing to put oneself first in order to seek and value the good of the other. It is this type of maturity that truly aids the next generation as we witness in this encounter between the elder Eli and the young Samuel. What enables this letting go is a profound trust in God. Eli had such a trust. 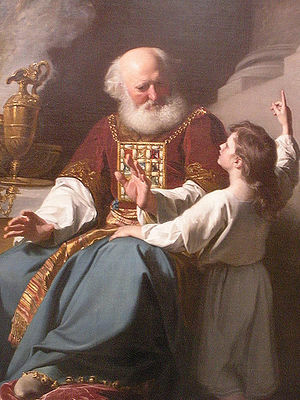 Following upon God’s revelation to Samuel; Eli requests that the young Samuel inform him of all that had been spoken by the Lord, holding nothing back. Samuel shares all, including the ending of Eli’s house. Eli responds, “It is the Lord, let him do what seems good to him.” (1 Samuel 3:18) Eli’s trust in the Lord was perhaps one of his greatest gifts to the young Samuel. A faith obsessed with pursuing youth and relevancy lacks this depth of trust because it is a depth that can only be achieved by negation and passing through the dark night of the senses. At this point, everything Eli had been about was negated yet he is able to offer this profound statement of trust in the Lord. In the end, may God’s will be done. A friend of mine once shared that it does the Church no good to chase after the world. Yes, we live in the world and we must seek to encounter and dialogue with it but it does no good if we are co-opted and lose our own soul in the process. Eli, I believe, has a lot to teach us about helping the young to find and know God while, at the same time, remaining authentic to who we ourselves are.